Some of our favorite #NeoImpressed submissions from Week 1. Neo-Impressionist artists, like Symbolist poets and composers, sought to evoke certain moods, feelings, and experiences through their work. They utilized color, stylization, and compositional elements to create atmospheric, dreamlike worlds. In Neo-Impressionism and the Dream of Realities: Painting, Poetry, Music, you can create your own “dream of realities” using an in-gallery app modeled after the Neo-Impressionists’ techniques. Snap a self-portrait, pointillize it, then customize it by selecting the dot size, applying color effect, and adding your signature. 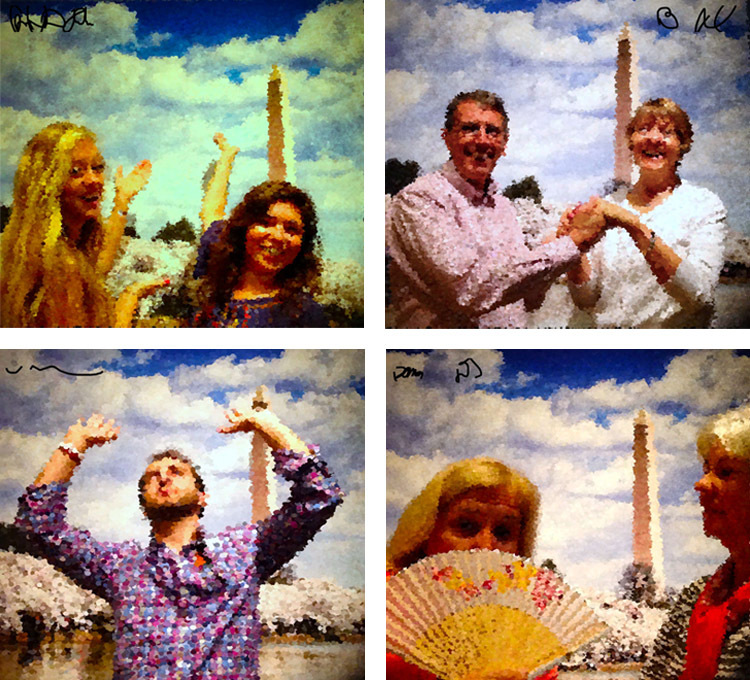 Share your photo with #NeoImpressed and you might just end up starring in our blog roundup!